At Defensive Drivers Group Traffic School we know a few tricks to taking traffic school in Contra Costa, California. This guide shares those traffic school tips for students working with the Contra Costa Superior Court Traffic Division. Wait for your courtesy notice. The Contra Costa Court website says that if you are cited for a traffic violation, the court will mail you a "courtesy" notice at the address listed on the citation. Pay your fine. If you elect to attend traffic school you must pay the total fine amount plus a State/Court Administrative fee before your Contra Costa court date or extended due date. Register for the course. Start by selecting Contra Costa County and the court where you received your traffic violation. Your traffic school due date will be on your courtesy notice. Traffic school certificate. Your California traffic school certificate will be sent electronically directly to both the California DMV and Contra Costa Superior Court. Are extensions available for Contra Costa Superior Court Traffic Court? The Contra Costa Superior Court Traffic Division website does not say if extensions are possible. Contact the court to ask if they offer an extension. Pay your fine and the $62.00/$67.00 administrative fee by mail or online here: Pay Your Traffic Ticket Online, or go to the clerk’s office at the court location on the bottom of your ticket and pay the fine and the $62.00/$67.00 traffic school administrative fee. 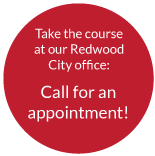 Are you eligible to take traffic school in Contra Costa County? In general, you may attend traffic school if you have not attended traffic school in California in the past 18 months and have a valid California license. (The 18 months is from the date of violation to the date of violation.) Your courtesy notice will say if you are eligible for traffic school. Note: This page is for informational purposes only to help traffic school students who need to work with the Contra Costa Superior Court Traffic Division. This information may change at any time, and it is up to the reader to verify this information with the court or other relevant parties. To make a payment for a traffic violation in Contra Costa county court, visit the payment website here. Payment Plan: You may request a payment plan to pay your traffic court ordered-debt. A Written Plea Form and Request for Monthly Payment (TR-123) can be found at the link below or at the Traffic Clerk’s Office and can be submitted by mail or in person to the court indicated on the citation. Ability To Pay Determination: You may ask the court to consider your ability to pay by petition. A petition (TR-125) can be found at the link below or at the Traffic Clerk’s Office and can be submitted by mail or in person to the court indicated on the citation. If your case has not yet been sentenced, you must appear at the Clerk’s office to request an ability to pay determination. At the time you submit the petition, provide the Court with any supporting documentation you want the judicial officer to consider in making their decision. You must take care of your traffic ticket on time - even if you do not get a reminder notice.